Dugroz: Protect Your Front-Porch Packages! Earlier this week, I was driving around our neighborhood about 3:00 PM on a weekday - just within a mile or so of our home. In the space of about 5 minutes, I drove by 8 houses that had at least one package sitting on the front porch, presumably waiting for one of the occupants of the house to come home. This is your typical middle-class suburban neighborhood where there are often two parents who work outside the house, and the kids are all in school. - UPS and FedEx both offer services that allow you to re-route packages to different times, or have them delivered to a local retail store that participates in their program. - You could always have your deliveries go to a friend or family member in your town that generally has an adult home during the day. It might not be a bad idea to tell your family members as well that you want any gifts to go to Aunt Sharon's house. 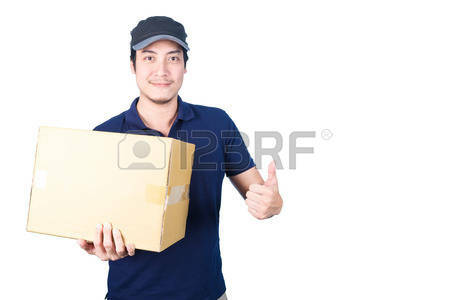 - Ask the delivery company to place the package in an out-of-sight place (like behind the bushes). Most online orders have a place where you can place delivery comments. It may not always be heeded, but doesn't hurt to try. If it's out of sight, it's less likely to attract a thief. - You could consider a home security system (camera, motion senor, or some such thing), or some other kind of deterrent. What do you think? Does anybody have any experiences with this they'd like to share? May your Christmas be merry and all your deliveries fulfilled!